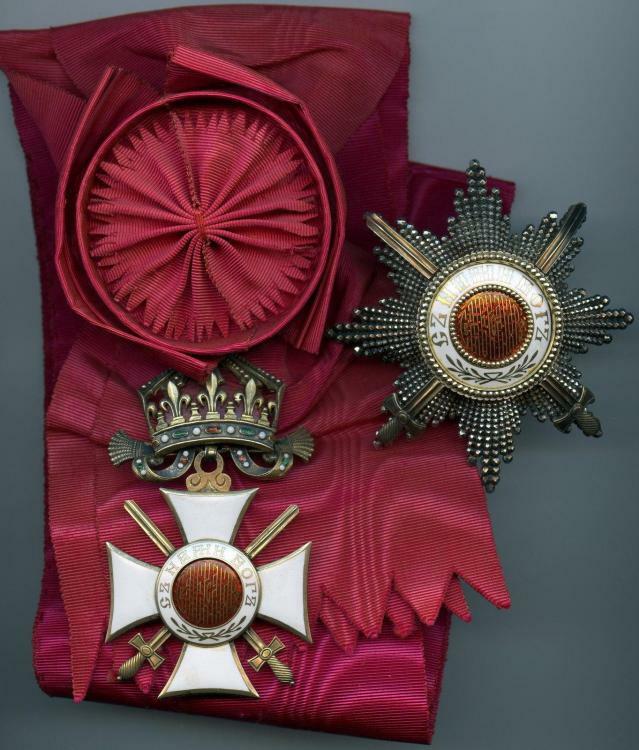 The seller who sold the Luxury St Alexander Star pictured in #66 and #67 has listed even rare Grand Cross Set with swords in the middle. Both the star in #66 and the set in #76 are Rothe pieces. However, the question to be answered is when these pieces were manufactured. The first star is lacking any marks and the second doesn't bear the typical "C.F.Rothe" "Wien" hallmarks. The star's overall quality also seems a little lower than what one would expect from Rothe pieces. 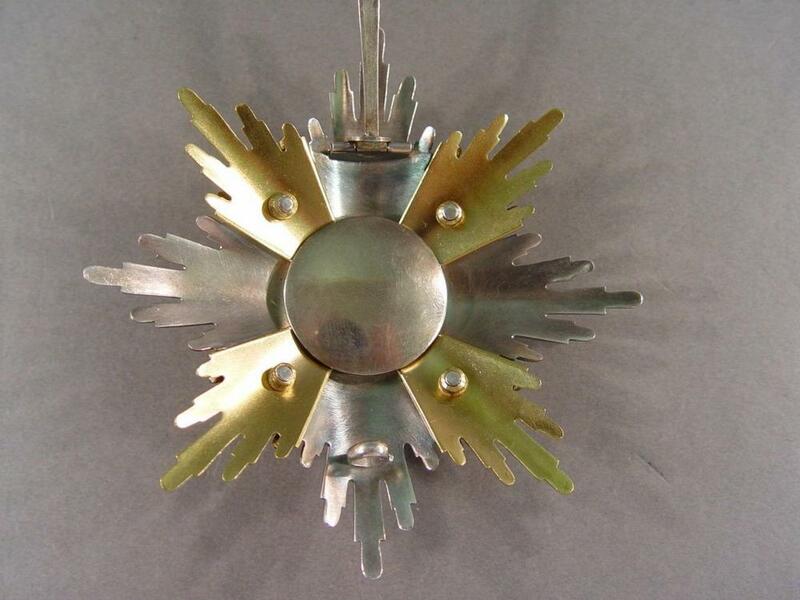 An expert on Austrian decorations should be easily able to tell whether these pieces were made pre or post 1945. Supporting Graf's insights, I discussed liquidation of Rothe assets on this Forum several years ago. 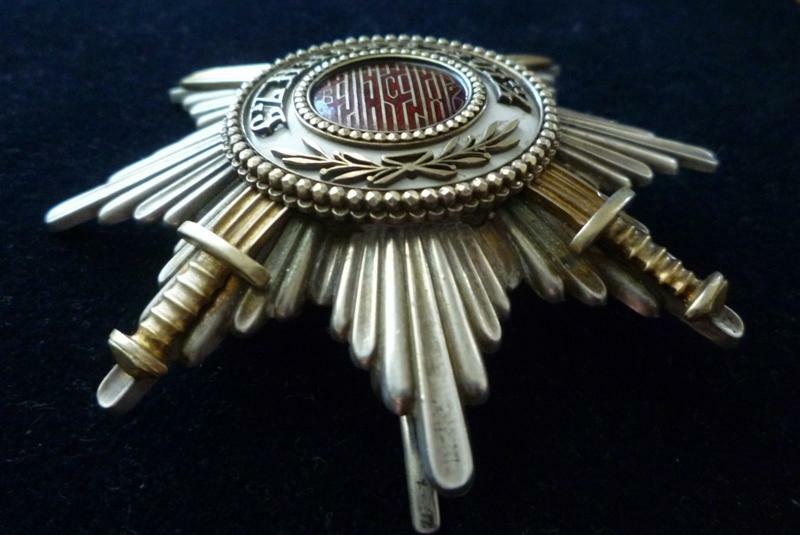 Remember that Rothe made and sold imperial Austrian and imperial Mexican, Italian and German State, Turkish and fantasy Order insignia using original matrixs through the early 1970's. For an additional fee, one could get items made in silver or silver gilt, sometimes even with pre-WW I stamps! Besides order, medal and insignia matrixs sold off, remaining ribbon stock [including to my personal knowledge silk Military Bravery, St. Alexander, Civil Merit, Military Merit, Long Service Cross, WW I Commerative Medal, Arts and Sciences Medal, and Clementine black/blue Bulgarian material] went on the block. Not hard to imagine that other things including any in stock, spare or unfinished items got sold too. Also the different condition of the Star and the Cross The Cross is very worn while the Star is nearly mint..plus the other issues I mentioned earlier. 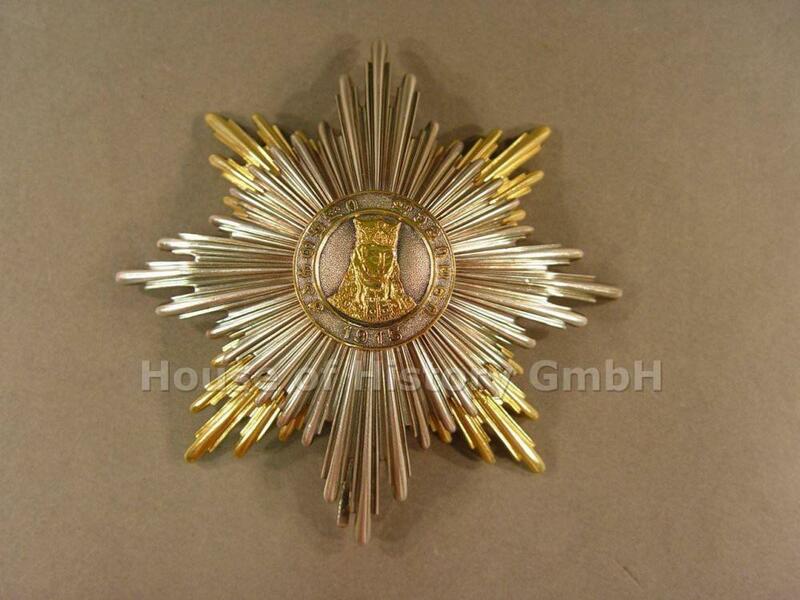 I assume the auction has ended by now, as I cannot find it on ebay.de. 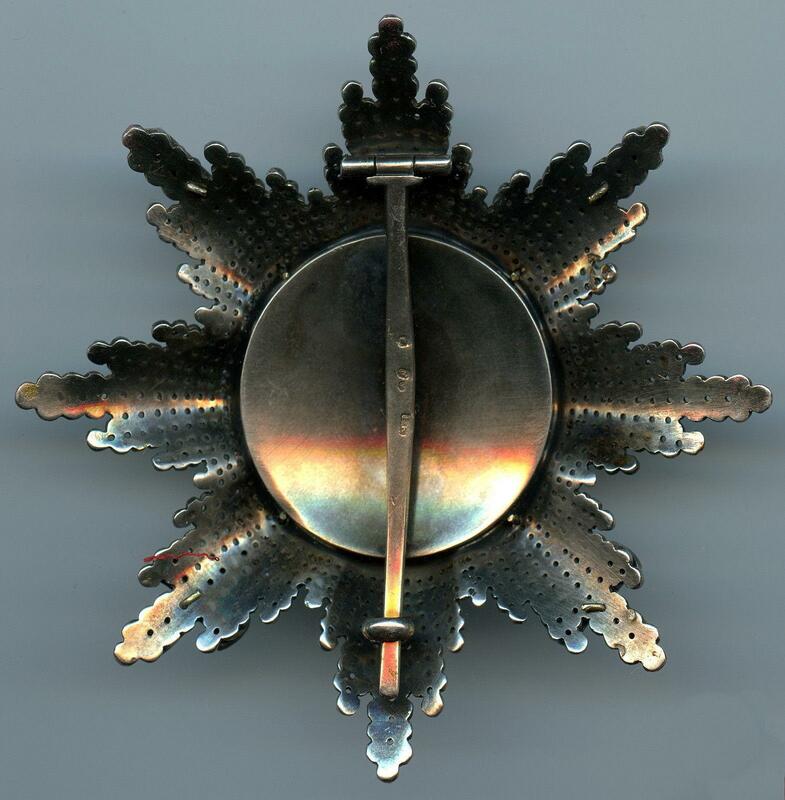 I was wondering whether there were any images of the sides of the badge and the swords in particular? i.e. that is to see how those bizarre swords are attached to the cross itself or were they a single unit (as it should be). And yes, I agree with you all. One positive thing I can see about this set is that the sash appears to be genuine. Sorry, a bit off topic but related to machinations of old stock parts. ,While on German ebxay, look at the rare Bulgarian star body version of the St Tamara Order, Georgien Orden der Heiligen Tamara, Bruststern 1.Klasse in übergroßer Ausführung für Generäle, 132559811653!! Alle von uns angebotenen Artikel sind zeitgenössische Originale, 100% Garantie!! Surely one of the most rare types!!! Seller of these supposedly Rothe stars is based in Austria, which could mean something if these awards were manufactured post-war. One factor in favor of this theory is lack of proper F Rothe stamps, as finished awards were all endorsed with such stamps. One of the main mysteries are enamels. Enamels on these awards seem to be real hard baked type enamel, which are extremely difficult to replicate. It's possible though that someone found supply of already made parts (center of the star) with enamels already applied, but never assembled. Hello. First, I want to say that I am very happy and thankful to be with all of you in this community. I own a diamont breast star. Without swords. I already have a lot of information about it. But I also miss a lot of information since it is very rare and most likely completely unique. I am not sure to whom it belonged exactly. Here are some pictures, maybe some of you can help me with your profund knowledge. wow, such a beautiful star! I am sure it belonged to someone very important. Congratulations! The stamp on the pin is for German maker Zimmermann. Yes the maker is indeed C.F. Zimmermann, Pforzheim. But he used to produce orders mostly in 20th century. I have seen stars produced by Rothe but never by C.F. Zimmermann. The diamond issues were being ordered separately from the generic ones, as they were produced in very limited numbers. I am a bit puzzled by this stamp, as CF Zimmermann did not put full name of their firm on German awards, normally it's a number 20 as I recall. On WWII German (DKIG, various badges, etc) awards you can see underside of the pin marked "20" which is the code number for C.F. Zimmermann, Pforzheim. The overall quality of this Star illustrates the supreme experience and detail undertaken by the craftsmen in the workshops of Zimmermann. Each stone upon the rays is individually set into a pierced silver frame; in this material to accentuate the natural colour of the stones. Besides this a sliver-thin pierced gold plate is painstakingly affixed and pierced to align with the pierced silver plate, allowing light to the stones whilst ensuring the reverse of the Star is as attractive as possible at the same time alleviating any tarnish being transferred to the uniform of the recipient in time. Romanian orders manufactured by C. F. Zimmermann during WWII had a "CFZ" mark. First a small information about the C.F Zimmermann marks The mark 20 of this Firm was mainly used on the German awards till the LDO was introduced in1941. After that the mark L/52 was used. 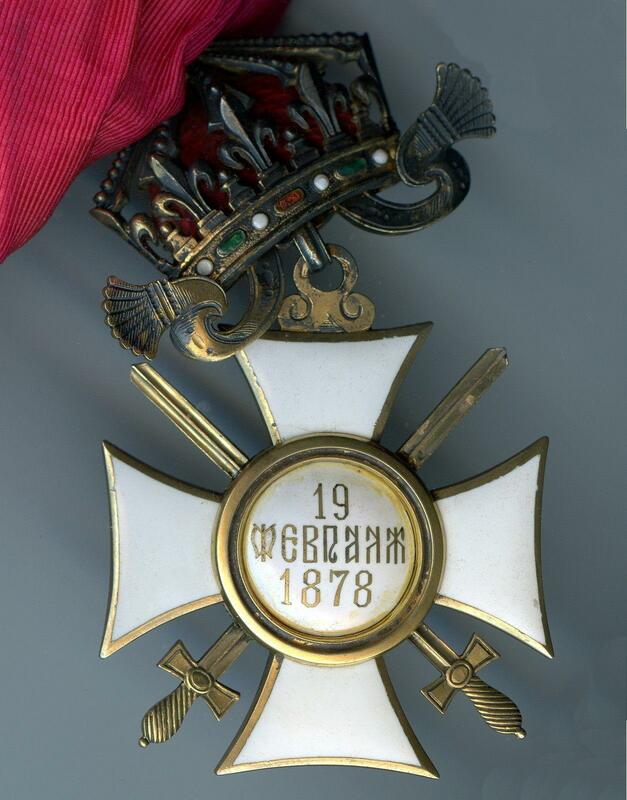 The Bulgarian Royal Court of King Ferdinand and His son King Boris also used the Firm for the same reason. On those awards the Firm did not use the 20 and L/52 marks and instead used the mark with its name. 1. 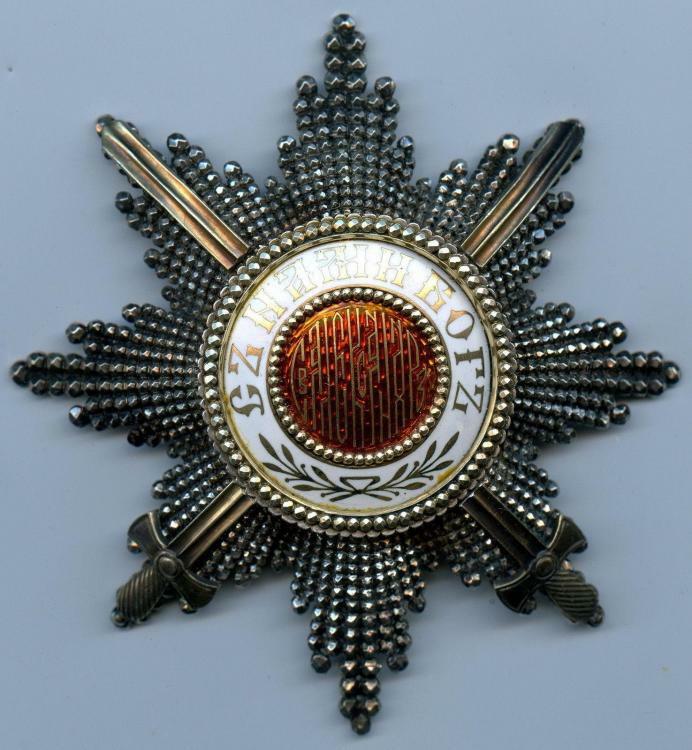 The Condition of the Star There are only handful of those Stars awarded as Sets by the Bulgarian Monarchs to themselves and to other Royals and Dignities in Bulgaria and around the Europe. All of such Stars and Sets sold were in pristine condition because of the high value and the rareness of them Why this Star is in such bad condition?? My question to pettypirate, if not secret, the Origin of the Star. 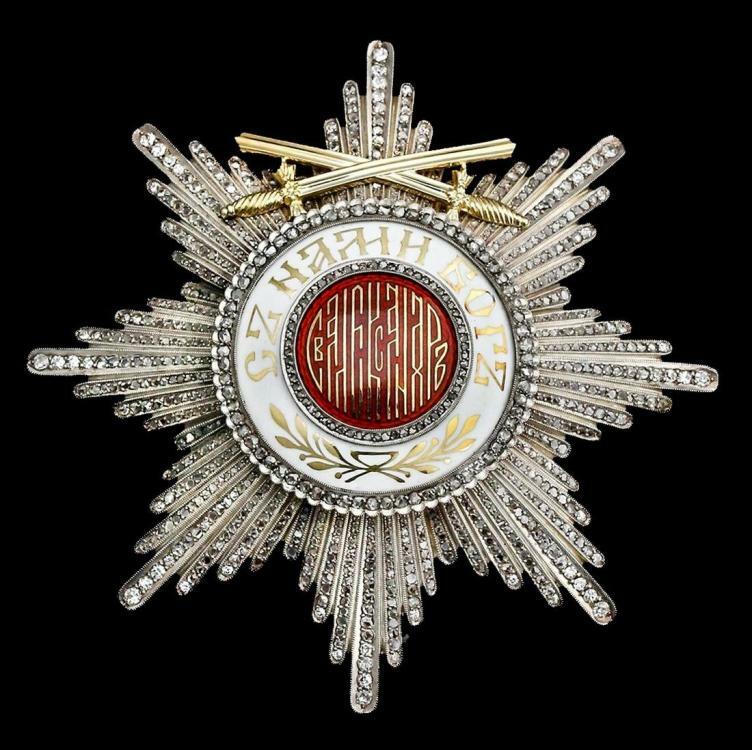 If the Star was obtained within Serbia and is 100% Original then the VIP awarded it could be Serbian Royal or Dignity and his research has to be focused there. Hopefully we will continue researching together. Second -The origin is most likely within the Kingdom of Serbia.